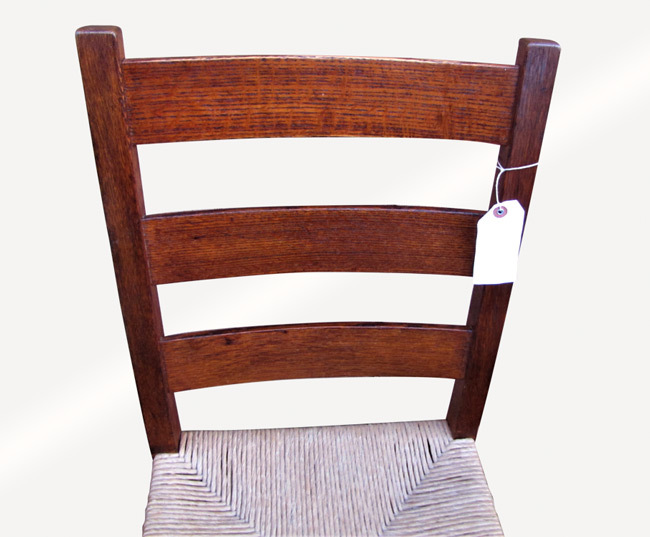 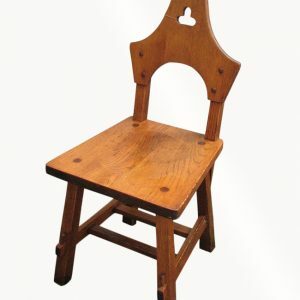 This is a Great Antique Set of 5 Gustav Stickley Dining Chairs from the early 1900’s. 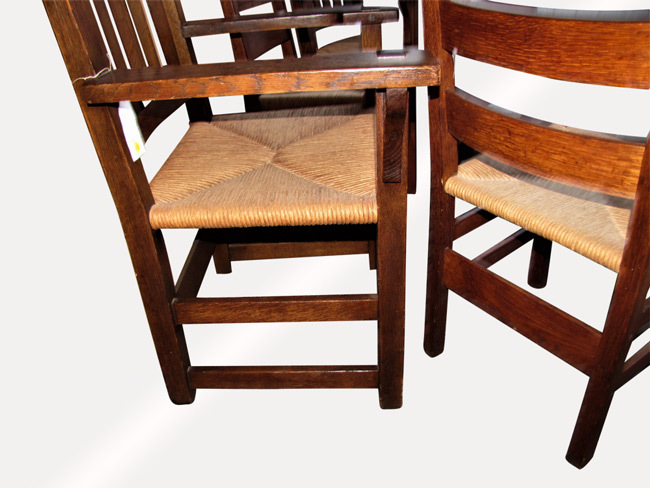 This is a great looking set of chairs that are in good condition. 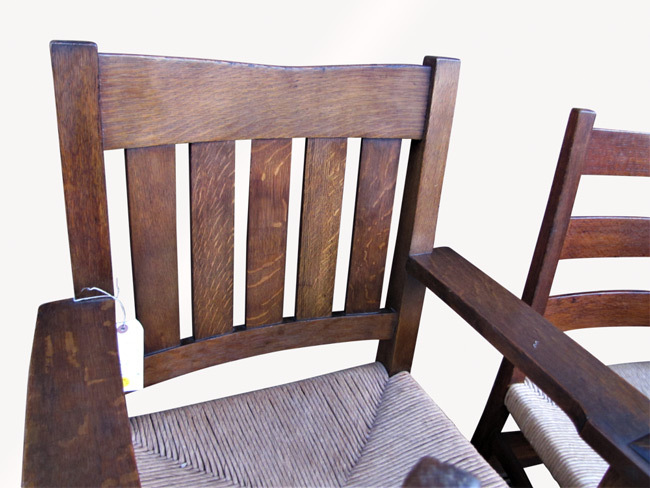 The set has two V back armchairs and three side chairs. 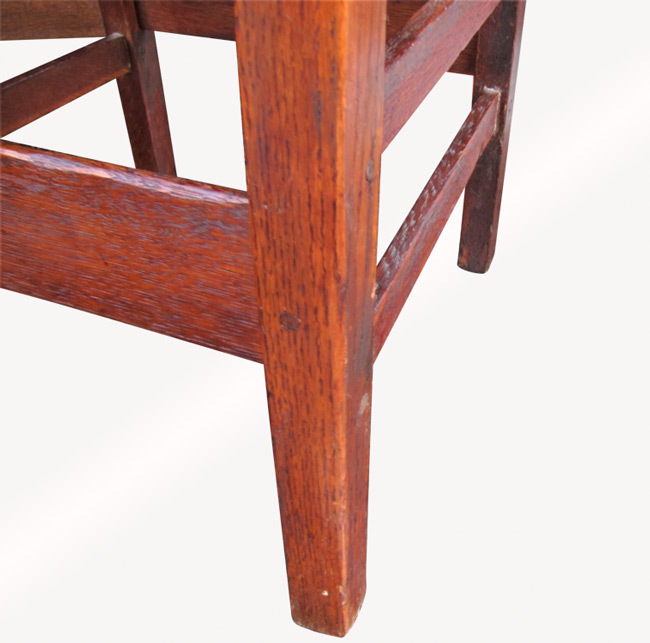 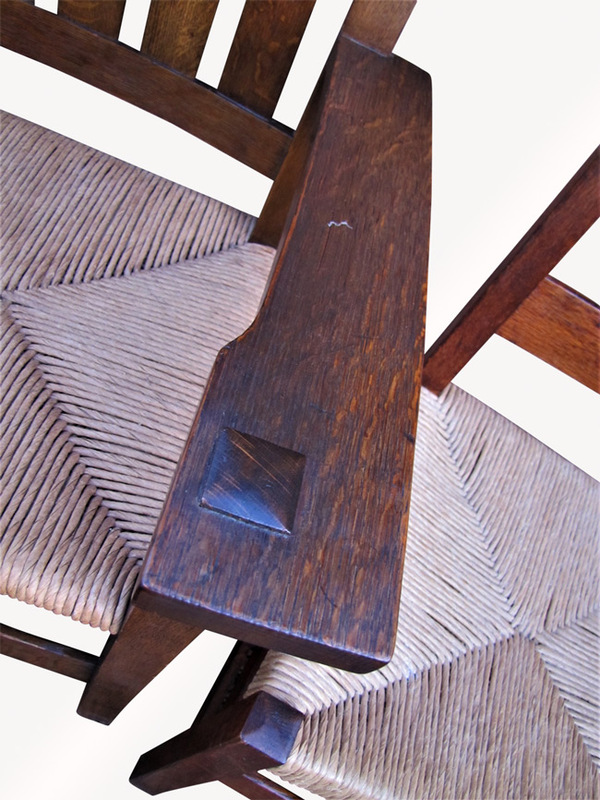 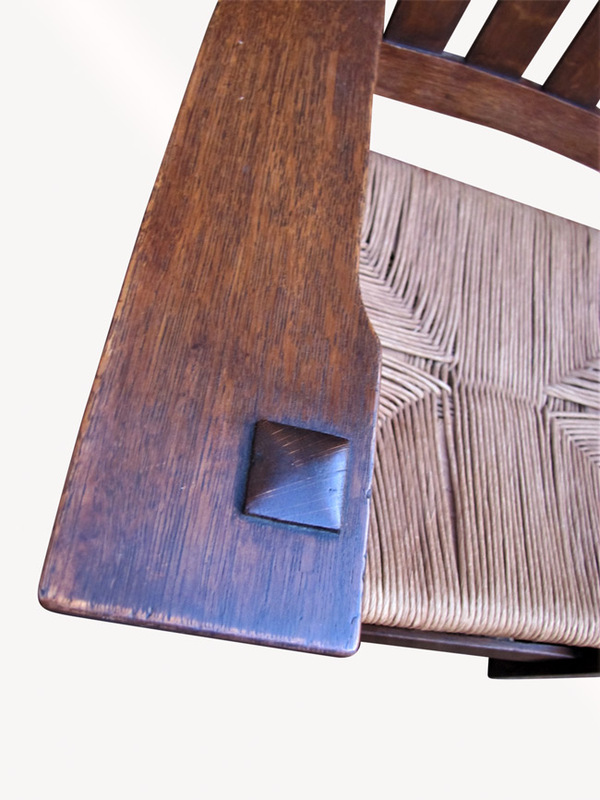 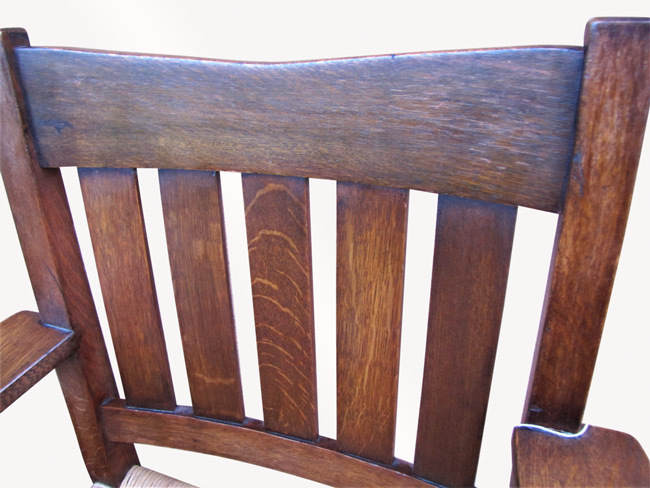 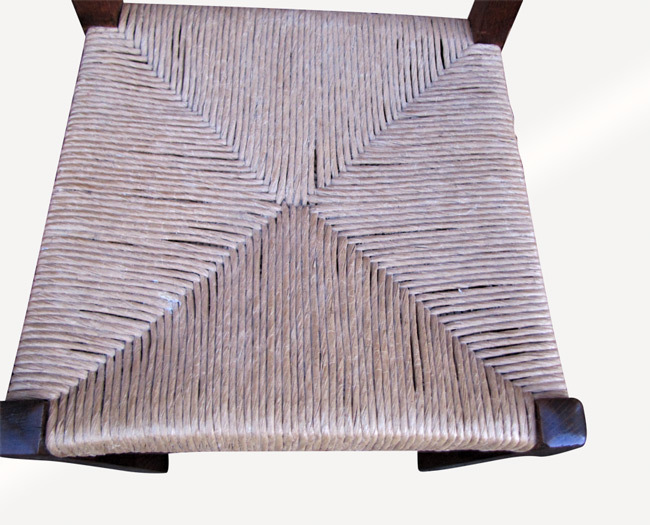 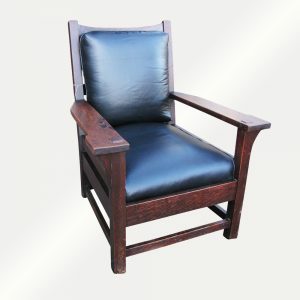 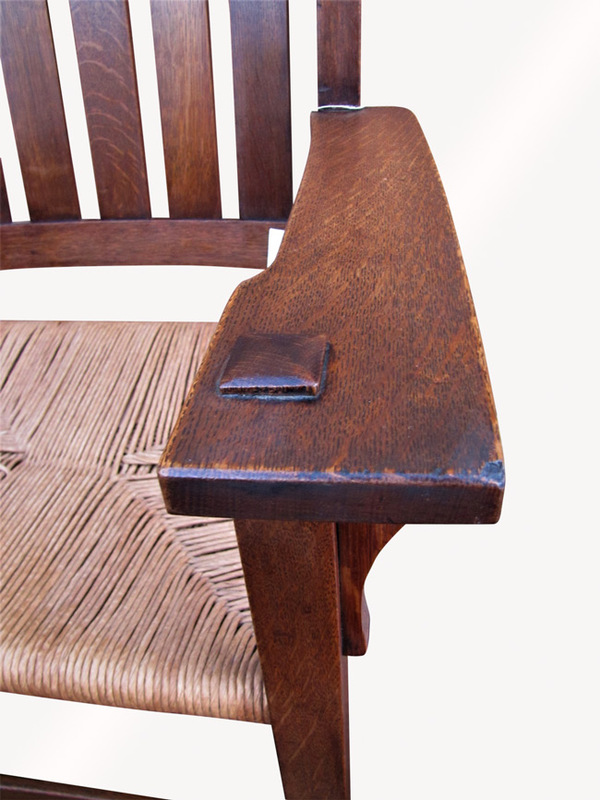 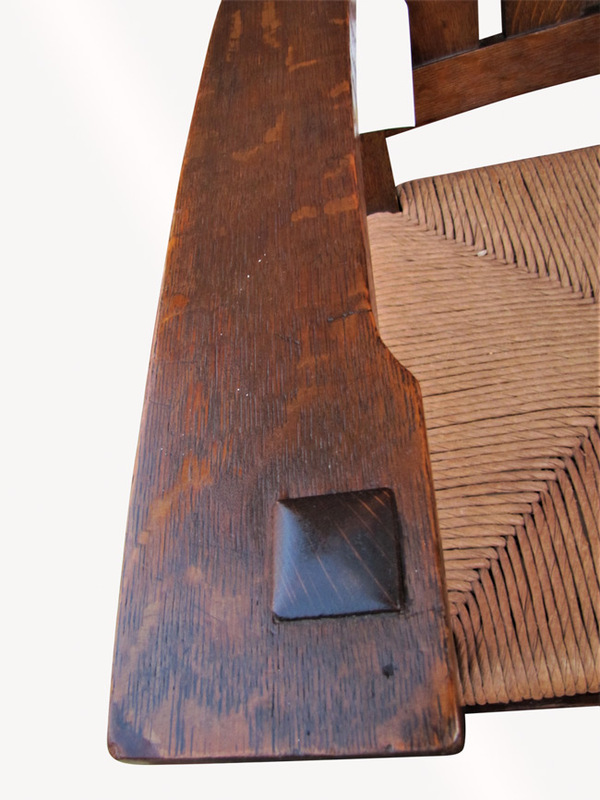 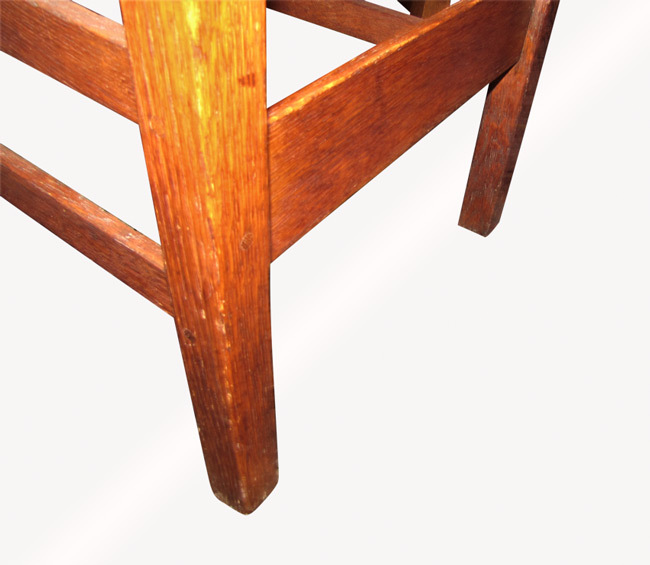 The armchairs are heavy duty with through tenon construction on the arms. 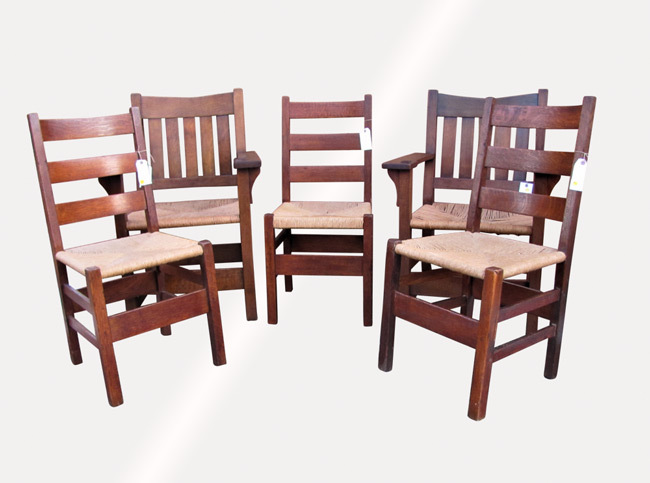 The three side chairs are Gustav Stickley model number 306 1/2. 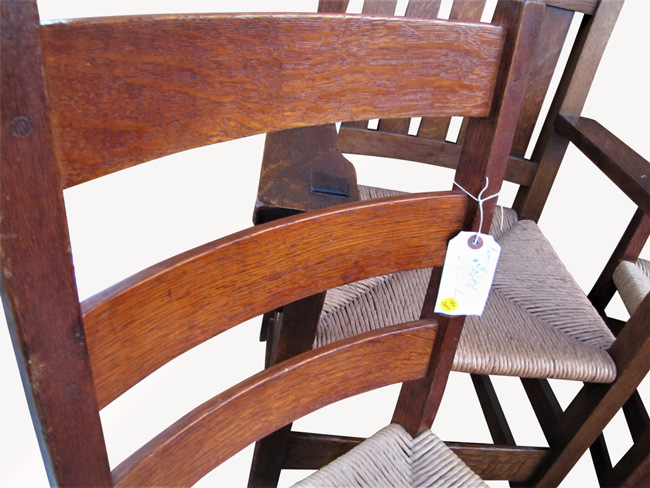 This is a great group of chairs that are pinned all around. 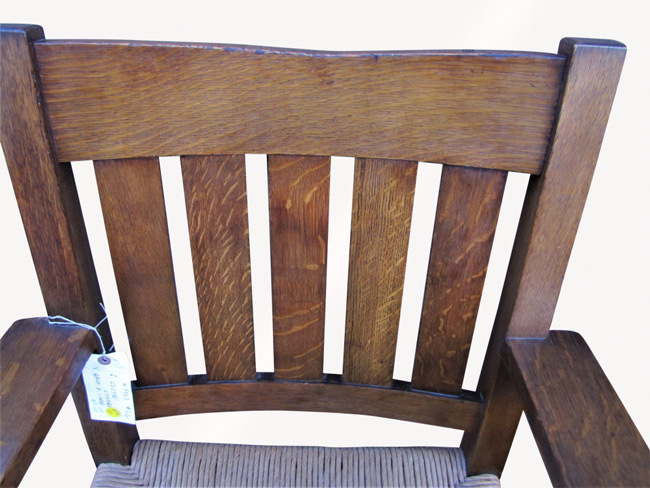 They also have a great original finish and color and the rush seats are all in good condition. 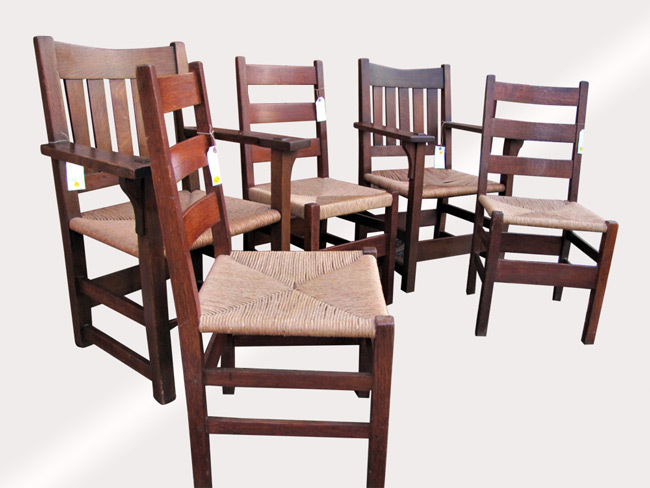 These chairs are sturdy and strong and are ready to be used in your home or business. 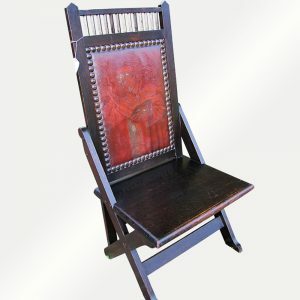 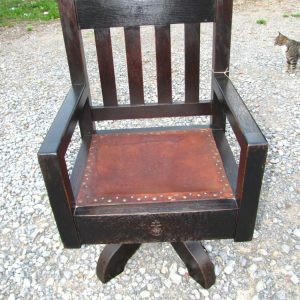 We do have several chairs listed and will combine shipping if you need more than one item to save you money.